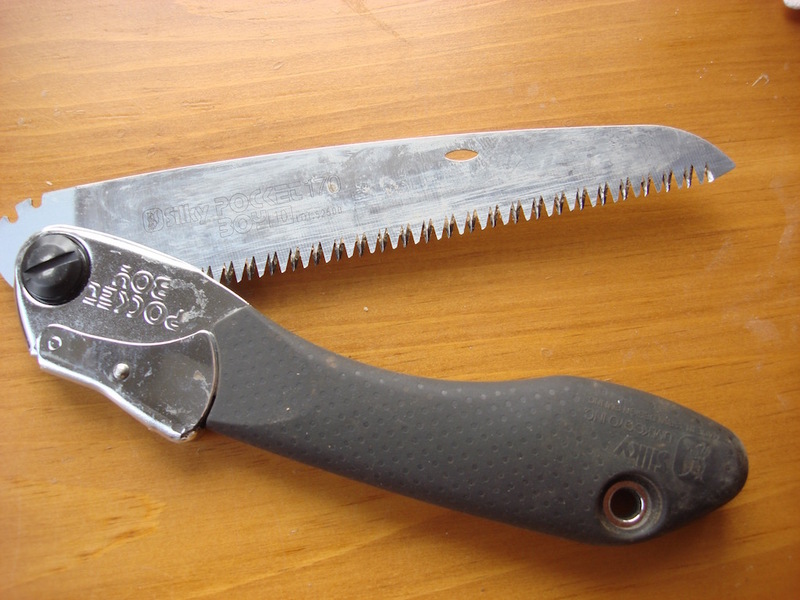 Pruning Tools have many names and uses; here are my favourites, because they have worked for me. Now and then I try new ones, but these are the ones I have found - so far, to be my favourites. Call them clippers, pruners or secateurs, or whatever you wish, but having the right tool for the job is just as important as using the right knife and fork at the table. And though you may get enough food in your mouth by using the wrong fork, you most likely won't get the look you want or a job well-done, if you use the wrong pruning tool. Some will tell you the time to prune is when your “knife” is sharp, but don’t believe it…..
Lee Valley has a neat little sharpener, the size of a pencil; does a super job. Sharp is good, but timing is crucial. 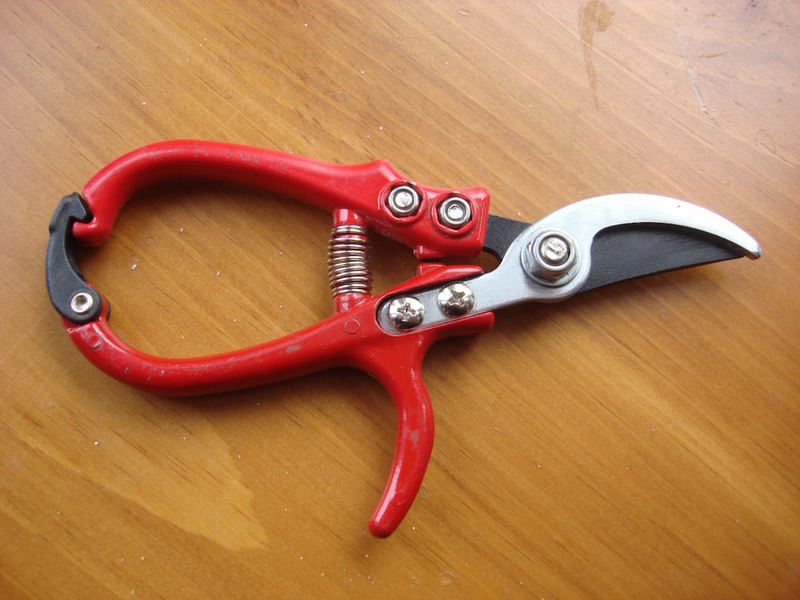 A good, sturdy pair of pruning clippers, or secateurs that fit your hand, and are comfortable for you to open and close easily. Buy the best you can afford at first, and try them all to see what works for you. 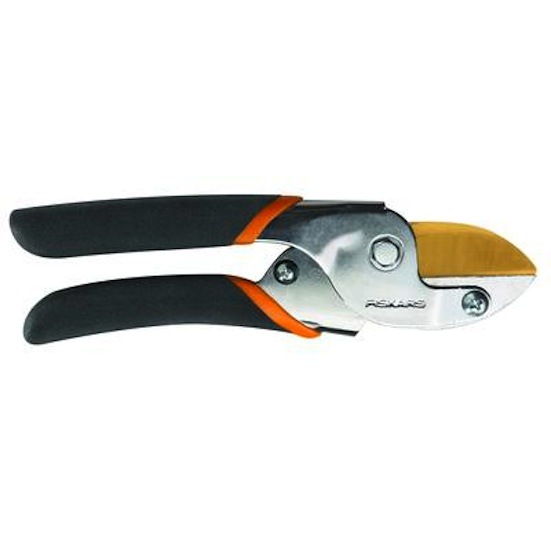 BYPASS PRUNERS: these make the best and cleanest cuts because the sharp blades pass one another. …but ANVIL PRUNERS - (below) - where the blade “meets’ the other - are best for dead or diseased wood as they may crush the stem of living tissue. 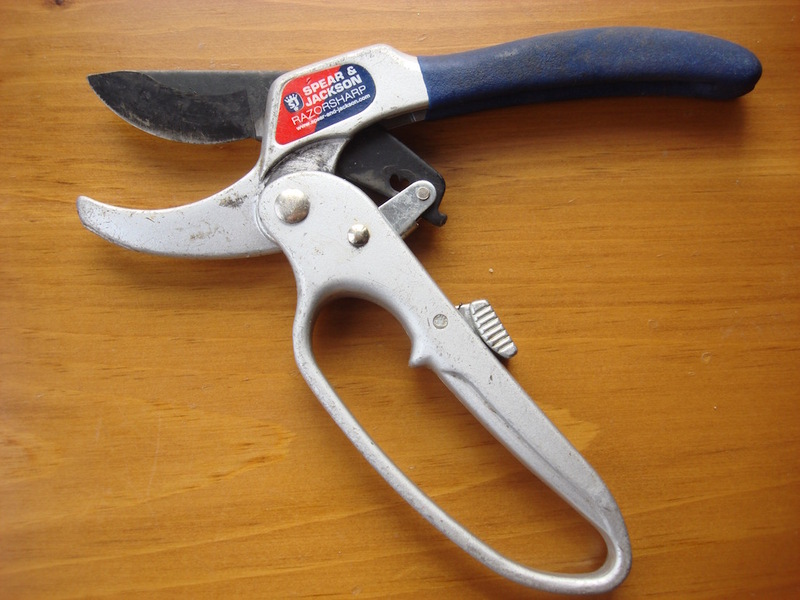 I have recently tried a pair of "ratcheting, anvil - hand pruners"... that work like magic. But wait... ANVIL? ...hold on... because there is a small well - it's more like a slot - on the opposite side of the cutting blade that actually allows the blade to BY-PASS it and enter that little space before the blade meets the metal. So, it acts like a BY-PASS pruner - the 'well' is there to make the ratcheting work. Clever, right? I like how they are easy on the hands, and they can cut branches thicker than other hand pruners with little effort. 2018: update; I have used these anvil secateurs a lot and wanted a second pair. They are so easy to use, so easy on the hands for thicker branches and make my pruning a breeze. The customer service at Holland Imports is excellent. My contact was very pleasant and helpful ... and in this day and age, this kind of service is so essential. 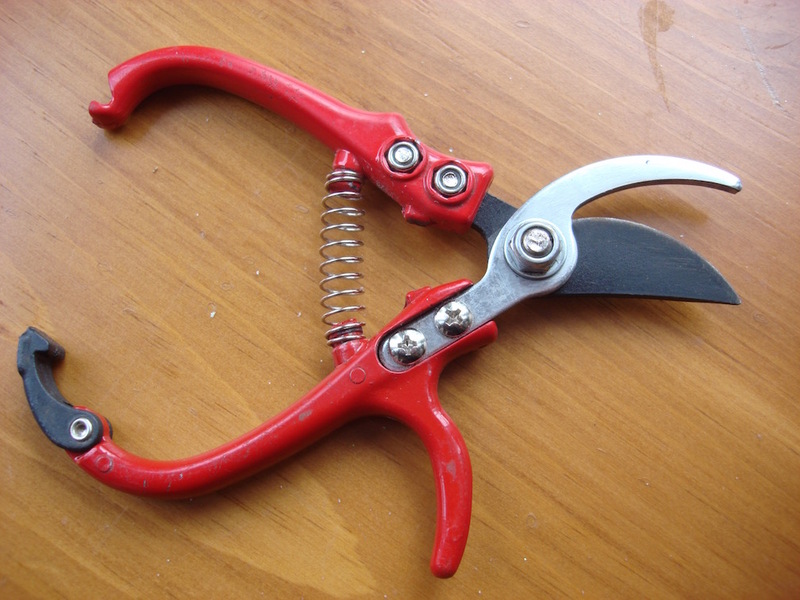 These red, 6 inch "floral by-pass pruners" are made by Holland Imports (Greenhouse Brand- model # P011278).... I now have 3 pair of these snips so there is always one handy. Seems now they are orange. One word of caution; if you use them as often as I do, the small spring may fly off so watch for that because if you can find it, it goes back on easily. The hardest thing is to not use them for everything - they are so sharp and so easy to use that the temptation is to use them for larger branches than they are meant for. So, they too, are right on the top of my favourites list. ....both by-pass and anvil - which have nice long handles, some are telescoping- making higher cuts easier to reach. These, below, are by-pass loppers. - hand, or powered - which, of course, are for hedges. The thing to remember about hedge shears, is they shred, and bruise twigs and branches because the blades dull quickly, and are difficult to keep sharp, especially the electric or gas powered ones. I still use the old-fashioned hand hedge clippers, but I try to keep them sharp... that cutting motion helps keep those arm and shoulder muscles toned...(no need for the gym on hedge-trimming day! I’m not a motorized-tool gal, but there are times when they could make your work easier…. long hedges, for example. And even though they tear the leaves and twigs, to use hand tools to prune long and/or tall hedges would be almost impossible without help. One summer day after a major wind storm that took down big trees; my daughter and were driving down a country road and came upon a tree that had fallen across the road. The folks walking by explained a road crew would be along shortly to remove it. We opened the Benz' trunk, took out our "pocketboy" saws, and removed enough limbs so we could move the main trunk and drive on.